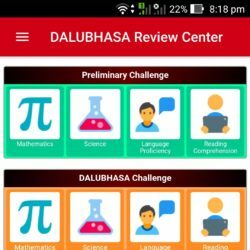 DALUBHASA Review Center launches its UPCAT Review Mobile Application for FREE. You can download the app at App Store via https://apple.co/2APJg51 or Google Play Store via http://bit.ly/2DixdzR Share it to your friends! Enjoy studying and good luck! How to ACE the UPCAT? For detailed inquiries, you may also contact us via email or mobile phones.